01/03/13 -- Soycomplex: Beans closed around the middle of the day's trading range at the end of a choppy session. An improved weather outlook in South America and ideas that Brazil may be starting to get it's act together as far as exports are concerned weighed. So too did Informa Economics raising their Brazilian soybean production estimate by 0.5 MMT to 84.5 MMT, which is 1 MMT more than the USDA forecast last month. The Brazilian Trade Ministry said the country exported 959,600 MT of beans in February versus 284 MT in January. In Argentina rains are "expected to build across central and southern La Pampa, central and southern Buenos Aires, eastern Cordoba, Santa Fe, and Entre Rios this weekend. The rains will continue to build moisture in southern and northeastern areas, which will favour soybean growth. Additional rains are expected in these same areas in the 6-10 day period," said MDA CropCast. Good rains are also forecast in Brazil this weekend. The USDA announced a further 120 TMT of new crop soybean sales to China. Informa pegged Argentine soybean production at 51 MMT, which is 2 MMT less than the February USDA estimate. Oil World estimated the Paraguay soybean crop at 7.8 MMT versus a previous estimate of 8.2 MMT. Funds were estimated to have been net sellers of around 4,000 soybean contracts on the day. Mar 13 Soybeans closed at USD14.64 1/2, down 9 3/4 cents; May 13 Soybeans closed at USD14.43 1/2, down 8 3/4 cents; Mar 13 Soybean Meal closed at USD427.30, down USD7.50; Mar 13 Soybean Oil closed at 49.47, up 65 points. For the week nearby beans gained 3 1/4 cents, meal added 40 cents and oil lost 88 points. Corn: Lower estimates from Informa for South American corn production this year were bullish. They estimated Brazil's corn crop at 71.6 MMT, versus the USDA estimate of 72.5 MMT. Informa also pegged Argentina’s corn crop at 25 MMT versus the USDA estimate of 27 MMT. The Brazil Trade Ministry said that the country had exported 2.29 MMT of corn in February versus 3.37 MMT in January. The Brazilian government said that starting May 1st the limit on the ethanol blend permitted in gasoline will be increased to 25% from 20% currently. Nearby tightness in physical availability in the US is reflected in the strong cash basis. Shorts in front month Mar 13 have got squeezed into covering their positions in as delivering against them isn't really an option if they haven't, or can't get, the physical corn. Recent very heavy precipitation in the US southeast and delta has removed most of the extreme drought concerns for states in the area, with talk now that they could in fact hamper fieldwork and cause significant delays to corn planting. Talk remains that China is eyeing US new crop corn. South Korea’s Nonghyup Feed Inc estimated South Korea’s 2013 US corn imports at below 2.0 MMT versus 2.84 MMT in 2012, saying that South American corn was cheaper. Fund buying was estimated at 4-6,000 corn contracts on the day. Mar 13 Corn closed at USD7.24 1/4, up 4 3/4 cents; May 13 Corn closed at USD7.08 1/2, up 5 cents. For the week that puts nearby Mar 13 up 34 cents, with May 13 gaining 24 1/4 cents. Wheat: The wheat market followed corn higher, despite a much improved weather situation for US wheat. "February storms delivered very heavy precipitation to the United States heartland, with the 3 main winter wheat states Kansas, Oklahoma and Texas receiving 2-4 inches of snow melt. Scattered areas of northern Oklahoma received 5 inches of moisture. This is a game-changer for winter wheat. Normally, winters are very dry in the Great Plains bringing only 2.8 inches of moisture, overall, to the Southern Great Plains December-February. Storm precipitation in February has exceeded the normal expected winter precipitation, and then some," say Martell Crop Projections. "Additional snow is expected to cross the northern Plains into the Midwest later this weekend into next week, which will maintain extensive snow cover there. This will also improve soil moisture once it melts," say MDA CropCast. Thailand bought 30 TMT of Indian wheat for May shipment in a tender today. Tunisia bought 50 TMT of optional origin soft wheat along with 25 TMT of optional origin barley, both for April shipment. CNGOIC said China will auction 1.285 MMT of wheat from reserves next week. Fund buying in Chicago wheat was estimated at 2,000 lots on the day. Mar 13 CBOT Wheat closed at USD7.13 1/4, up 5 1/2 cents; Mar 13 KCBT Wheat closed at USD7.56, up 9 cents; Mar 13 MGEX Wheat closed at USD8.19 3/4, up 20 cents. For the week Mar 13 CBOT wheat lost 1 3/4 cents, KCBT gained 6 1/4 cents and MGEX added 17 cents. 01/03/13 -- EU wheat futures closed mixed, with London wheat supported by the pound crashing below 1.50 against the dollar, it's lowest level since July 2010, and to 1.1340 versus the euro, it's weakest since October 2011. Sterling was under pressure following what one analyst described as "shockingly poor" manufacturing data released mid-morning. On the day London wheat closed with front month Mar 13 up GBP0.85/tonne at GBP203.50/tonne and new crop Nov 13 GBP1.65/tonne higher at GBP187.65/tonne. Mar 13 Paris wheat was EUR1.75/tonne firmer at EUR250.00/tonne. For the week that puts Mar 13 London wheat five pence lower, with new crop Nov 13 up GBP0.50/tonne and Mar 13 Paris wheat EUR7.00/tonne higher. Paris wheat remains supported by the strong export pace, aided by a weakening euro in dollar terms. Rouen shipped it's largest weekly volume of grain in more than a year in the week through to Wednesday. For the month of February Paris wheat was 0.4% firmer, compared with Chicago wheat which fell 9.2%. London wheat was 4.5% lower during the month. ADAS said that a welcome dry spell at the end of February in the UK had allowed some late wheat to get drilled, along with some early nitrogen and some overdue herbicides/fungicides to be applied. Even so Sep/Feb rainfall was 150% of normal, with Dec rainfall 180% of what we would usually expect. 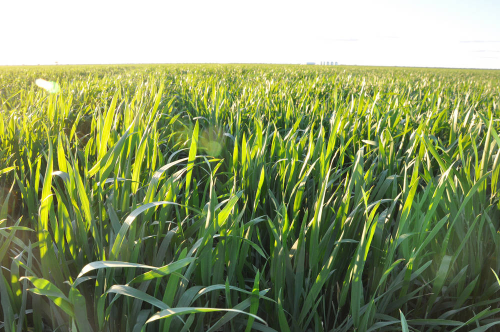 Only 75% of planned winter wheat was sown by the end of November and only 65% of the crop had reached the tillering stage by the end of February, they said. Around 10% of what has managed to get sown is of "questionable viability" and in the case of OSR it's 20%, they added. Growers in the north would say it's substantially more than that. The wet weather means that slugs have been a huge problem this winter, with many farmers having to resort to multiple applications of slug pellets, they noted. The first spring barley was drilled in the last week of February, they added. Bloomberg report that France is also suffering from less than ideal weather, having cloud and 15% more rain than normal in the Dec/Feb period, according to Meteo France. France Agrimer said that 66% of the soft wheat crop is in good to excellent condition versus 70% a year ago. They also said that 66% of the winter barley crop is in good to excellent condition versus 63% a year ago. The EU Commission estimated EU-28 (including Croatia) soft wheat production in 2013/14 at 131.1 MMT, an increase of more than 5% on last year, although yield potential is only forecast at 5.1 MT/ha. The barley crop is forecast only marginally higher than last year at 54.6 MMT. Canadian spring wheat plantings are forecast to rise 0.9 million acres, or more than 3.5%, to 17.5 million acres this year, according to local analysts Farm Link. Much of that land will come from canola, the area of which is seen falling 1.5 million acres. Farmers will also switch some of this extra area into soybeans, oats and peas, they said. Russian spring grain planting is just about underway in southern regions, Farmers there are expected to sow 33 million acres of spring grains this year, including failed winter replants. The Ukraine Farmers Confederation President says that he expects the country to resume wheat exports in April given the domestic stock situation and the outlook for a strong rebound in grain production this year. 01/03/13 -- Rapemeal prices on the continent are firmer today, following decent gains in Chicago soymeal last night (although some of those gains have subsequently been given up in overnight trade). 01/03/13 -- The overnight market is mixed at 9am UK time, with wheat showing gains of around 3-5 cents, corn 2-3 cents firmer on old crop at least and soybeans 2-3 cents easier. EU wheat exports are running 4 MMT ahead of last year's levels (or up 44% if you prefer) at 13.1 MMT based on last night's weekly export license data from Brussels. Corn imports meanwhile are 4.55 MMT ahead of year ago levels at 7.85 MMT. Dow Jones are reporting this morning that Ukraine may resume wheat exports in April. The Ministry did say some time ago that they intended to review the situation in the spring, and might allow a bit more wheat to be exported if they are confident of having a good crop in 2013 once they saw how winter crops emerged from dormancy, so it could happen. The pound has just fallen off another cliff at 9.30am, down below 1.51 against the dollar on "shockingly poor" manufacturing data. Following the slating that sterling took in the Sunday papers last week I'm surprised it hasn't gone below 1.50 this week. Mind you, the day isn't over yet! This will probably support London wheat today. China has announced it will sell 100,000 MT of rapeseed oil from state reserves next Friday. Talk persists that they will also release 1 MMT of beans from reserves before the end of the month. CNGOIC estimate China’s March soybean imports at 3.5-3.8 versus 4.83 MMT in March 2012. Other than that fresh news is pretty thin on the ground so far this morning, although next week promises to be potentially much more interesting, culminating in Friday's USDA WASDE report. How can they increase exports from the existing 36.6 MMT without also decreasing ending stocks? They aren't going to go any tighter than 2 weeks worth of supply (which is where we are at now) are they surely? Brazil has the beans but they don't have the infrastructure to supply them in a timely manner. US soybeans could virtually disappear by the middle of April at current export/sales rates. Taking into account the shipping problems in South America, and the potentially record crop in Brazil and near record crop in Argentina then these guys could be active and aggressive sellers later on in the season than is normal. IF the US does get a decent crop this year AND South America still have plenty left to sell come September/October time then we could see the soya market under significant pressure later in the year to coincide with the US harvest. 28/02/13 -- Soycomplex: Strong weekly export sales of a combined 1.17 MMT were skewed in favour of an already tight old crop balance sheet at 689 TMT, along with 482 TMT of new crop. That was well above trade expectations of combined sales of 650-750 TMT and takes old crop commitments to 94.5% of the USDA target for the season with five months still left to go. Brazilian shipping delays are seen continuing to switch some demand back from South America to the North. China took 69% of the old crop sales and 73% of the new crop. In addition the USDA announced the sale of 123 TMT to them for 2013/14 delivery today. The Buenos Aires Grains Exchange estimated Argentine soybean crop at 48.5 MMT versus a previous estimate of 50.0 MMT. Unimar said that 167 ships are waiting at Brazilian ports to load 9.68 MMT of soybeans alone, up 10% from a week ago. Informa come out tomorrow with their latest world production estimates. CONAB come out next Thursday with their Brazilian production estimates, before the USDA are out on Friday with theirs. Funds were estimated to have been net buyers of around 5,000 soybean contracts on the day. Mar 13 Soybeans closed at USD14.74 1/4, up 16 3/4 cents; May 13 Soybeans closed at USD14.52 1/4, up 12 3/4 cents; Mar 13 Soybean Meal closed at USD434.80, up USD5.50; Mar 13 Soybean Oil closed at 48.82, down 45 points. Corn: Weekly export sales for corn of a combined 512,600 MT beat expectations of 350-450 TMT, with China taking 67,000 MT of new crop. Even so old crop sales still trail the pace required to meet the USDA's projection for the season. Whilst the market was pleased to see a fourth consecutive weekly increase in the ethanol grind yesterday, corn used in this week’s report was estimated at 85.3 million bushels versus the 87.7 million bushels per week required to meet this crop year’s USDA estimate of 4.5 billion bushels. The Buenos Aires Grains Exchange estimated Argentina’s corn crop at 25.0 MMT, unchanged from their previous estimate. Unimar said that 23 ships are waiting at Brazilian ports to load 1.13 MMT of corn, down 9.3% from a week ago. Toepfer estimated the 2013/14 global corn crop at a record 976 MMT, up 14.3% from 854 MMT in 2012/13. Asian buyers have been picking up South American and Black Sea corn and/or feed wheat from the likes of India in preference to US corn. South Korea only imported 35% of their 2012 corn from the US - the lowest percentage since 2005 and down substantially from 78% in 2011. Informa are out tomorrow with their March production numbers. Last month they had the Argentine corn crop at 25.0 MMT and the Brazilian corn crop at 70.3 MMT. Fund buying was estimated at 12,000 corn contracts on the day. Mar 13 Corn closed at USD7.19 1/2, up 10 cents; May 13 Corn closed at USD7.03 1/2, up 8 1/4 cents. Wheat: Weekly export sales of a combined 524,900 MT were towards the lower end of expectation of 500-700 TMT. Unknown was the biggest old crop buyer taking 134,800 MT along with 82,500 MT of new crop. China showed up as taking one cargo of new crop (59,300 MT). Brazil bought one cargo of old crop (56,500 MT). South Korea bought 21,800 MT of Canadian wheat for Mat 1-15 shipment. Germany bought 60 TMT of feed wheat from Brazil for March shipment. Traders will be hoping that the US picks up a share of the new Saudi tender for 550 TMT of a mixture of soft and hard wheat for Jun/Aug shipment. They should certainly be in with a shot at the soft wheat part of the tender. The results of that could be out tomorrow or over the weekend. Russia's 2013/14 grain crop will come in at around 87-92 MMT, according to IKAR. Local reports suggest that wheat production potential there this year is no better than average at the moment. Informa are expected to release revised world wheat production numbers tomorrow. Last month they gave us EU an wheat crop at 138.0 MMT, an Argentine wheat crop of 9.5 MMT and an Indian wheat crop of 91.0 MMT. The recent departure of the vice chairman of the Egyptian state wheat buyer, GASC, may have been the start of a change in the way they operate. 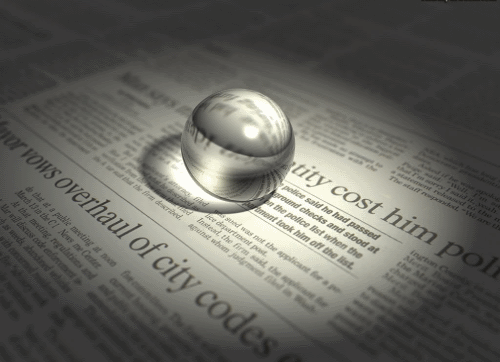 Some are speculating that public tenders will become a thing of the past, bringing less transparency into the market. Fund buying was estimated at 1-2,000 Chicago contracts on the day. Mar 13 CBOT Wheat closed at USD7.07 3/4, up 3 1/2 cents; Mar 13 KCBT Wheat closed at USD7.47, up 12 3/4 cents; Mar 13 MGEX Wheat closed at USD7.99 3/4, up 12 1/2 cents. 28/02/13 -– EU grains closed firmer, in line with overnight gains in US wheat on ideas that the slump to 8-months lows leading Chicago wheat to close at a discount to corn last night may have been overdone. On the day London wheat closed with front month Mar 13 up GBP0.80/tonne at GBP202.65/tonne and new crop Nov 13 GBP0.70/tonne higher at GBP186.00/tonne. Mar 13 Paris wheat was EUR1.75/tonne firmer at EUR248.25/tonne. A flurry of fresh tender activity promoted ideas that prices have fallen sufficiently low to stimulate global demand. Saudi Arabia yesterday tendered for 110 TMT of soft wheat and 440 TMT of hard wheat for Jun/Aug shipment. South Korea bought 21,800 MT of Canadian wheat overnight. Bangladesh bought 50 TMT of optional origin wheat for March shipment. 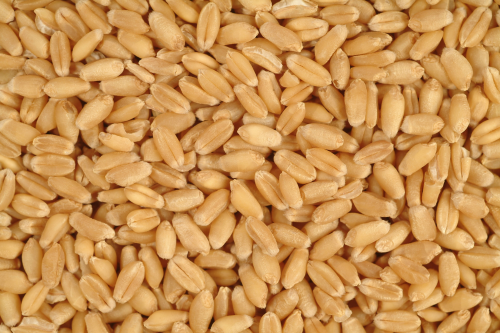 Tunisia filed tenders for 50 TMT of optional origin milling wheat and 25TMT of optional origin barley for April shipment. In an interesting development it was reported that Germany had bought 60 TMT of Brazilian feed wheat for import. It was only a few months ago that the Germans were selling milling wheat to Brazil. The USDA didn't confirm any US wheat sales to Europe or Russia, as has been persistently rumoured of late, in today's weekly export sales report. They did however include sales of 134,800 MT of old crop and 82,500 MT of new crop to "unknown" destinations. Brussels issued 387 TMT of soft wheat export licenses this past week, taking the marketing year total to 13.1 MMT, up 44% versus 9.1 MMT a year ago. EU exports continue to be aided by the euro falling to a 7-week low against the US dollar this week. Bloomberg reported that the leading French export hub of Rouen shipped 247 TMT of grains in the past week, up 42% on a week ago and the best weekly total since Dec 2011. At 211 TMT almost all of that was wheat. Morocco (120 TMT) and Algeria (55 TMT) were the principal two homes. In contrast Russia's January grain exports were reported at only 433 TMT, the lowest in the last two seasons. Toepfer said that they expect the world wheat crop to rebound 4.3% to 682 MMT this year, with corn output increasing 14.3% to a record 976 MMT. Agrimoney reported that UK spring barley plantings could come in at 830,000 ha this year, citing Evergrain, the Swiss-based malting barley trader. That would represent a leap of over 34% on last year's 618,000 ha and be the highest level since the 1980's. The percentage of the crop suitable for malting this year may fall to around 39% versus a more normal level of clser to 50% in a typical year however due to lack of seed, they added. On the EU weather front MDA CropCast said that "showers are improving moisture in Spain, while drier weather in France, Germany, and Italy is easing wetness." They left their forecasts for EU wheat, barley and rapeseed production in 2013/14 all unchanged from last week at 132.04 MMT, 52.9 MMT and 18.49 MMT respectively. IKAR estimated 2013/14 Russia grain crop at 87-92 MMT and pegged the exportable surplus at 22.0 MMT. The Russian Ministry are estimating total grain production for 2013/14 at 95 MMT versus the Russia Grain Union's estimate of 90 MMT, both are well above the 70.7 MMT produced in 2012/13. UkrAgroConsult estimated Ukraine’s 2013/14 wheat exports at 8-9 MMT versus 6.3 MMT this season. A struggling Egypt are said to be looking at ways of changing the way they do business and abandoning its regular public wheat tenders, according to a report on Reuters today. 28/02/13 -- The USDA's weekly export sales report showed strong interest for soybeans, announcing old crop sales of 689 TMT along with new crop sales of 482 TMT for a combined total of 1.17 MMT versus trade expectations of 650-750 TMT. China took 475 TMT of the old crop and 350 TMT of the new crop. Shipments fell away slightly from their recent frenetic pace at 822 TMT. Even so that brings shipments so far in this marketing year to just shy of 30 MMT, with outstanding sales of a further 4.6 MMT, meaning that the US currently has 94.5% of the USDA's projected target for the season already committed (and indeed 82% of that target has already been shipped). Given the current loading delays in Brazil it seems highly unlikely to me that much of the 4.6 MMT of outstanding sales will end up getting cancelled. Meanwhile China keep coming back for more. 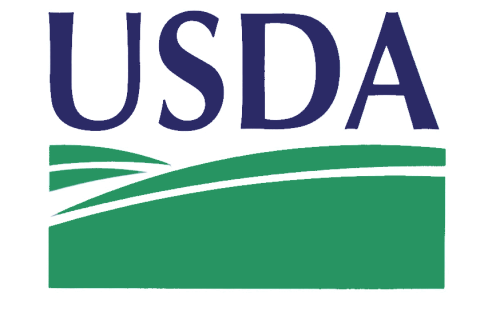 The USDA have separately announced the sale of 123 TMT to them for 2013/14 delivery today. All this makes next week's WASDE report due on Friday night rather interesting. The USDA managed to resist cutting US soybean ending stocks any further than the 125 million bushel mark (3.4 MMT). Can they do so again? And if they can what magic will they perform to make the numbers fit? Remember that 125 million bushels is only just over 2 weeks worth of supply of US beans. Weekly corn sales were 302,600 MT of old crop along with 210,000 MT of new crop with China taking 67 TMT of the latter. Trade estimates were for sales of 350-450 TMT. For wheat we got sales of 372,600 MT old crop and 152,300 MT of new crop against trade estimates of a combined 500-700 TMT. Unknown was the biggest old crop buyer taking 134,800 MT along with 82,500 MT of new crop. China showed up as taking one cargo of new crop (59,300 MT). No sign of Russia or the EU in there unless they are wearing the "unknown" hat, which is of course entirely possible. 28/02/13 -- Rapemeal prices on the continent are narrowly mixed this morning. Modest gains in Chicago soymeal last night and again this morning support. Nearby availability remains tight from the crushers, although consumers seem well covered for now. 27/02/13 -- Soycomplex: Strike or no strike concerns about Brazilian port congestion continues with reports today that shipping delays are now up to 60 days. Again that could see a shift in demand to the US for soybeans, and nearly everything that they've got to export is already committed. Right on cue the USDA reported the sale of 120 TMT of soybeans to "unknown" for 2012/13 shipment, along with a similar volume to China for new crop delivery. Brazilian union workers are in talks with the government but may yet call a strike after March 15 if their concerns are not resolved. A general strike then would cause absolute mayhem, with Argentina's harvest not due for another month, and they themselves also mired in logistical problems and with farmers there already threatening an embargo on sales next month. Customs data shows that China’s Jan bean imports were 4.782 MMT and that none of that total came from either Brazil or Argentina. The US supplied almost 94% of that volume. The Deutsche Bank estimated Brazil’s soybean crop at 79-80 MMT versus the USDA estimate of 83.5 MMT. Trade estimates for tomorrow's weekly export sales report for beans are 650-750 TMT. Fund buying in beans was estimated at around 4,000 lots on the day. Mar 13 Soybeans closed at USD14.57 1/2, up 9 3/4 cents; May 13 Soybeans closed at USD14.39 1/2, up 7 3/4 cents; Mar 13 Soybean Meal closed at USD429.30, up USD1.60; Mar 13 Soybean Oil closed at 49.27, up 25 points. Corn: The corn market finished higher on old crop and lower on new crop. The weekly ethanol grind was up 15,000 barrels/day to 812,000 bpd, the largest since the first week of the year and the fourth week in a row of increases. One leading Chinese corn analyst said that China is buying/seeking US corn due to shipping problems from South America. They also said that China's 2013 corn import needs may be around 5 MMT due to the poor quality of last year's harvest. Shanghai-based JC Intelligence said that Chinese feed mills have bought over 200 TMT of US corn since last week. Estimates for tomorrow's weekly export sales report are around 350-450 TMT, will any of this Chinese business show up? Looking into the South American weather forecast for March, MDA CropCast said: "In Brazil, above normal rainfall in northeastern areas would slow corn and soybean harvesting, while near to below normal rainfall in central and southern areas would favour harvesting. Near normal rainfall across most of the safrinha corn belt in Brazil would favour corn growth. Rains are expected to return to Argentina during April and May, which would slow drydown and harvesting of corn and soybeans." The Deutsche Bank estimated Brazil’s corn crop at 70-71.0 MMT versus the USDA estimate of 72.5 MMT. Funds were estimated to have been net buyers of around 2,000 corn contracts on the day. Mar 13 Corn closed at USD7.09 1/2, up 4 1/2 cents; May 13 Corn closed at USD6.95 1/4, up 1/2 cent; Sep 13 Corn closed at USD5.77 3/4, down 1 1/2 cents. Wheat: The market drifted lower into the close after Mar 13 CBOT wheat had posted double digit gains at one stage. Tomorrow's export sales report will be of particular interest for wheat, with the trade expecting sales of around 500-700 TMT versus 755,900 MT last week. Will there be any confirmation of the recently rumoured sales to "non-traditional" destinations such as China, Russia or even Europe? Saudi Arabia tendered for 110 TMT of optional origin soft wheat and 400 TMT of optional origin hard wheat for June/Aug shipment. Canada and Australia will compete with US wheat for that order. Russia keeps selling it's intervention stocks off, with another 64,782 MT being sold today. Carryover at the end of the season is expected to be very low. Some suggest that this will make the government keen buyers once new crop comes along, and that maybe therefore we won't see domestic traders quite so aggressive early in the new season as they normally are. It remains to be seen how much good recent heavy snowfall does for US winter wheat once it breaks dormancy. "Milder temperatures this weekend in the southern Plains will allow the snow there to indeed begin to melt, but little snow melt is expected elsewhere in the Plains or the Midwest. In fact, another round of snow is expected in the northeastern Plains and west central Midwest early next week," said MDA CropCast. Funds were estimated to have been modest buyers of around 1-2,000 lots of CBOT wheat on the day. Mar 13 CBOT Wheat closed at USD7.04 1/4, down 1 1/2 cents; Mar 13 KCBT Wheat closed at USD7.34 1/4, up 1 1/2 cents; Mar 13 MGEX Wheat closed at USD7.87 1/4, down 1 3/4 cents. 27/02/13 -- EU wheat futures closed generally firmer, recovering some of the recent losses, aided by US wheat rebounding from 8-month lows set on Tuesday. The latter may have more to do with the looming month-end prompting fund short-covering than anything else though. Funds have built up a near record short in Chicago wheat futures, contributing to recent price declines, leaving the market vulnerable to a corrective bounce to the upside as and when they turn buyers. 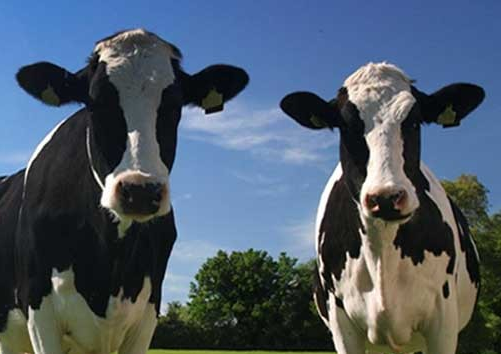 On the day London wheat closed with front month Mar 13 up GBP0.35/tonne at GBP201.85/tonne, May 13 rising GBP0.35/tonne to GBP2-5.35/tonne and with new crop Nov 13 GBP0.30/tonne firmer at GBP185.30/tonne. Mar 13 Paris wheat was EUR3.75/tonne higher at EUR246.50/tonne. US wheat futures have been under pressure of late due to a sudden and dramatic improvement in weather conditions in the heart of winter wheat country. "Drought is rapidly resolving in the Southern Great Plains following back-to-back snow storms. The winter precipitation map now indicates surplus precipitation in Kansas, Oklahoma and Texas - the 3 leading hard red winter wheat states. While the deep soil layer is still dry from intense autumn drought, prospects for wheat growth in the spring are enormously improved with heavy winter precipitation. Soil profiles would be recharged with heavy snow melt from successive storms," said Martell Crop Projections. "Winter precipitation is now well above normal in the main bread wheat states Kansas, Oklahoma, Texas, Colorado and Nebraska. Subsoil drought however still remains a big concern, particularly in Oklahoma where a 3 inch soil moisture deficit accrued October 2012 -February 2013," they noted. Based on last night's close Chicago wheat is down 7.75% since Feb 1, yet Paris wheat has only fallen by a much more modest 0.8% in that time (from EUR248.50). This can partly be attributed to a 4% fall in the value of the euro against the US dollar during this time, and perhaps also to the continuing strong demand for EU wheat, with exports up 46% on year ago levels as of last week. London wheat meanwhile is down 5.85% since the turn of the month despite also having 3.4% fall in value against the US dollar itself. A factor there perhaps of zero export interest whilst wheat imports are running at record levels. Egypt announced that they had wheat stocks of 2.29 MMT - enough supply to last 95 days. That's only around half of normal levels as they generally tend to carry around 6 months worth of inventories. Current imports in 2013 are only running at around a third of normal levels, prompting some to suggest that a tendering spree isn't far away from the world's largest wheat buyer. It may be a bit more complicated than that however, with others of the opinion that the government are strapped for cash amidst domestic political turmoil and a rapidly decreasing Egyptian pound. It may in fact be that they will soon start to focus their buying efforts on the domestic market, wheat harvesting in Egypt usually starts in April. On the international tender front Saudi Arabia are in for 110 TMT of soft wheat and 440 TMT of hard wheat for Jun/Aug shipment. South Korea bought 60 TMT of optional origin feed wheat, probably Indian, for Jun arrival overnight. Bangladesh bought 50 TMT of optional origin wheat for Mar shipment at USD331.88/tonne CIF. That is also most likely to be of Indian origin, with Indian actively selling wheat at around USD300/tonne FOB. India’s state-owned PEC issued a new tender today to sell 200 TMT of wheat for March shipment. Russia sold a further 64,782 MT of government owned intervention grain onto the local market. They are expected to have only minimal intervention stocks left at the end of the season (estimates are around 300 TMT) and are likely to be looking to replenish those once new crop comes along. That would reduce the surplus volume available for export in 2013/14. Ukraine said that it has exported 3.3 MMT of grains so far in 2013, with the vast majority of that - 2.7 MMT - being corn as wheat supplies dry up and traders hit the government's "informal" ceiling of 6.3 MMT for the season. Total 2012/13 marketing year to date grain shipments are 17.6 MMT, up 36.4% on last season. 27/02/13 -- Rapemeal prices on the continent are flat to slightly firmer today, aided by a steadier tone to soymeal values in overnight Globex trade. Nearby availability remains tight, although buyers are generally well covered until the spring. 27/02/13 -- The overnight grains are showing wheat around 2-4 cents firmer, corn flat to down 2 cents and soybeans a cent or so either side. Very modest gains in wheat could be tied to month-end book squaring and/or profit-taking given the large short position that the funds are sitting on in Chicago wheat. Did anyone notice that last night's close had wheat and corn almost at parity on front month Mar 13? Just 3/4 of a cent separated them. A month ago wheat was a 44 cent premium, two months ago it was a 90 cent difference and three months ago it was over a dollar. Does that mean that wheat is cheap? Japan seems to think so booking US milling wheat to use as feed at a discount even to India's shite. Not that I'm feeling overly bullish on wheat at the moment. India has far too much of their aforementioned shite to get rid of. Note the bit in last night's Chicago closing comments that they are forecast to be sitting on 100 MMT of wheat/rice stocks on the first of June - even though they only have under cover storage for half of that amount. It would seem that India is the new Primark of the wheat market. India's state-run MMTC has picked up a best bid of USD300/tonne in a tender to export 40 TMT of wheat for March 10-April 5 shipment ex the west coast port of Mormugao, I read this morning. It has until Mar 6 to accept or decline. Despite the reported improvement in US winter wheat conditions this week, the crop there is far from looking made. Poor/very poor ratings are: Kansas 36%; Oklahoma 54%; South Dakota 66%; Nebraska 14% and Texas 45%. They will however start 2013/14 with a carryover of around 19-20 MMT from the current marketing year. Ukraine (or Matalan as I call them) meanwhile will simply be itching to hit the ground running and open the wheat export floodgates at the first available opportunity. Their crop looks like rebounding to around 20 MMT, maybe more, this year. 26/02/13 -- Soycomplex: Talk remains that the Chinese government may be about to release 1.5-2.5 MMT of soybeans onto the domestic market from state reserves. There's talk also of more South American, possibly Paraguayan, soybeans being sold into the US. The IGC have estimated the 2012/13 global soybean crop at a record 269 MMT, and increase of 13% on last year. Oil World estimated Europe's January – September 2013 soymeal imports at 17.5 MMT, up 8% from 16.21 MMT in the same period in 2012. Brazil's harvest is moving on at pace. News that dock workers there will not strike again before Mar 15 has calmed nerves a little, although shipping delays of 1-1 1/2 months still remain. Fund selling in beans was estimated at 4,000 contracts on the day. Mar 13 Soybeans closed at USD14.47 3/4, down 3 1/2 cents; May 13 Soybeans closed at USD14.31 3/4, down 3 1/2 cents; Mar 13 Soybean Meal closed at USD427.70, up USD2.10; Mar 13 Soybean Oil closed down 105 points at 49.02 - the lowest level of the year so far. Corn: The market recovered somewhat from oversold conditions on profit-taking. The weekly ethanol production and inventory report is out tomorrow and the bulls will be hoping for the daily grind to improve on last week's 797,000 barrels/day. Talk continues of some of the plants that have been idled over the past few months coming back into production as margins have improved in the last couple of weeks. IMEA said as of Feb 21 Mato Grosso’s second corn crop is 64% planted versus 41% a week previously and 81% a year ago. Tender interest for US corn remains thin with Japan reportedly buying US SRW wheat to use as feed as an alternative to corn. Japan's corn in feed usage has been falling slowly but steadily in recent months, with wheat inclusion increasing likewise. America's share of Japanese imports has also been falling. India keep offloading their surplus wheat stocks ahead of harvesting which starts at the end of March, again stealing Asian interest away from US corn. Funds were said to have bought 8-10,000 corn contracts on the day. Mar 13 Corn closed at USD7.05, up 11 1/2 cents; May 13 Corn closed at USD6.94 3/4, up 9 1/4 cents. Wheat: The wheat market followed corn higher, but not very convincingly. India’s STC tendered to sell 200 TMT of wheat on the government's behalf. China are due to auction wheat from state-owned reserves tomorrow. Taiwan are in the market for 93,680 MT of US wheat for April/May shipment. Japan bought 50 TMT of US milling wheat for April shipment for feed usage at prices said to be around USD15/tonne cheaper than the best bid in India's latest tender. Despite recent sales activity, with another bumper harvest coming up India’s June 1st wheat and rice stocks are expected to reach 100 MMT. They are said to only have indoor storage for 47.0 MMT of grains. The Russian Grain Union said that winter wheat conditions are currently worse than they were a year ago. Russia sold 62,215 MT of intervention grain today, making the total sold since sales began in October to 2.0 MMT. Domestic stocks are dwindling fast. Funds were said to have been net buyers of around 3-4,000 Chicago wheat contracts on the day. Mar 13 CBOT Wheat closed at USD7.05 3/4, up 6 1/2 cents; Mar 13 KCBT Wheat closed at USD7.32 3/4, up 1 1/4 cents; Mar 13 MGEX Wheat closed at USD7.89, up 2 cents. 26/02/13 -- EU wheat futures closed mixed, with Paris wheat supported by a potentially weaker outlook for euro following yesterday's inconclusive Italian elections. US wheat set fresh 8-month lows in overnight trade as heavily moisture-laden snow storms pass across the Great Plains and into the Midwest. Dollar strength (at a 6-month high yesterday) is also weighing on US wheat. Mar 12 London wheat finished down GBP1.10/tonne to GBP201.05/tonne, benchmark May 13 was GBP0.15/tonne lower at GBP205.00/tonne and new crop Nov 13 was GBP0.45/tonne easier to GBP185.00/tonne. Mar 13 Paris wheat rose EUR3.00/tonne to EUR242.75/tonne. Various US state crop reports show an improvement in winter wheat conditions compared with a month ago, although things are far from ideal. Kansas wheat rated in good/excellent condition improved from 20% last month to 23% now, with the proportion of Oklahoma wheat rated in the top two categories increasing from 5% to 9%, and wheat in Texas from 14% to 18%. Even so, 36% of Kansas wheat is rated as being in poor/very poor condition, along with 54% of Oklahoma wheat and 45% of the crop in Texas. In Oklahoma 26% of the crop has already been given up on and is being grazed, versus 7% a year ago and 16% for the 5-year average. Ukraine's state weather centre said that only 9% of winter grains had perished and will need replanting in the spring versus 25% this time last year. They estimate 2013/14 grain production to rebound 20-30% from last year's 46.2 MMT -suggesting a crop of around or even better than 2011's output of 56.7 MMT. That would almost certainly make them aggressive early season exporters. The Ukraine Ministry say that 34,000 hectares of spring grains have already been planted due to favourable weather conditions. Russia's winter grains aren't in such fine fettle, with around 12.6% likely to need replanting in the spring versus around 8% on average. "Very hot and dry planting conditions occurred last fall in the Southern District with only 25-50% of normal precipitation September-November. Wheat sprouting and emergence was sub-par in the 4 key oblasts Stavropol, Krasnodar, Rostov and Volgograd," say Martell Crop Projections. "Russia winter wheat potential was boosted by heavy January precipitation. Three of the 4 key growing areas received more than 2 inches of precipitation replenishing dry fields in Rostov, Krasnodar and Volgograd. However, February weather has reverted back to a very dry pattern with hardly any moisture at all this month," they add. The Russian Ministry estimate spring grain plantings at 30.2 million ha, or 97.9% of the level sown in 2012. The Ministry are estimating total grain production for 2013/14 at 95 MMT versus the Russia Grain Union's estimate of 90 MMT, both are well above the 70.7 MMT produced in 2012/13. India keep plugging away with wheat offers, reportedly getting a best bid of just over USD300/tonne FOB (around GBP198/tonne) for 70 TMT put up for tender for March shipment out of the east coast port of Chennai. Japan are said to have bought a cargo of US Chicago wheat for feed usage yesterday for shipment in April at USD285/tonne FOB (circa GBP188/tonne). As long as fund money is content to sell corn and wheat the market looks set to drift lower. The large fund short that now exists in CBOT wheat does leave the market vulnerable to a sharp upside correction at some point, but what might trigger such a move, and when it could come, is anybody's guess at this stage. 26/02/13 -- Rapemeal prices on the continent are lower for a second day, following further losses in Chicago soymeal last night and again in follow through trade this morning. 25/02/13 -- Soycomplex: Beans closed down, although more than 10 cents off session lows, with weekly export inspections of 27.284 million bushels compared to 40.826 million last week seeming to hint at a demand switch to South America. News Friday that there is to be a mediation period in the Brazilian port workers dispute also eased supply concerns there. Nevertheless there are still major shipping delays out of Brazil. Santos port waiting time is said to be 30-35 days, in Paranagua it is now reckoned to be 48 days. There are rumours doing the rounds that one US crusher last week bought two cargoes of beans from Paraguay for May/June shipment. AgRural estimated Brazil’s 2013 soybean crop at 81.2 MMT, down 1.0 MMT from their previous estimate. They said that Mato Grosso’s soybean harvest is 47% complete versus 51% a year ago. Celeres estimated Brazil’s 2013 bean crop at 80.1 MMT and said that harvesting is 28% complete vs. 19% a week ago and vs. 29% a year ago. The Rosario Grains Exchange estimated Argentina’s 2013 soybean crop at 48.0 MMT versus a previous estimate of 53.0 MMT. 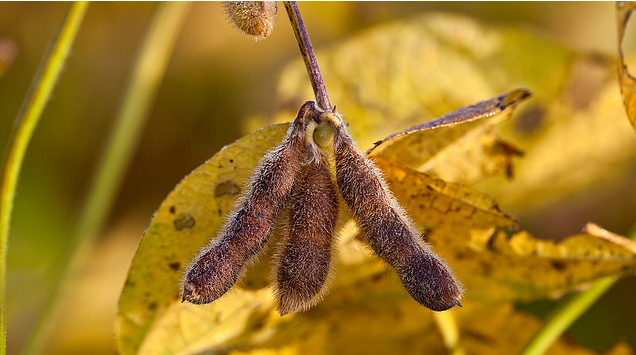 The USDA reported 120 TMT of new crop soybeans sold to China under the daily reporting system. There are rumours that China is planning to start auctioning off soybeans from state reserves. Fund selling in beans was estimated at 4-6,000 contracts on the day. Mar 13 Soybeans closed at USD14.51 1/4, down 10 cents; May 13 Soybeans closed at USD14.35 1/4, down 8 1/2 cents; Mar 13 Soybean Meal closed at USD425.60, down USD1.30; Mar 13 Soybean Oil closed at 50.07, down 28 points. Corn: Export inspections of 11.567 million bushels were in line with trade expectations, and up a little on last week. Sales still lag, as of February 14th cumulative corn sales stand at 59% of the USDA forecast versus the 5 year average of 70%. South Korea's FLC bought 50 TMT of Indian origin wheat for June shipment in what looks like corn substitution. South Korea's KFA bought 69 TMT of South American origin corn for July shipment. Neither will help US corn sales. Safras e Mercado said as of Feb 22 Brazil’s main corn crop is 24% harvested versus 19% a year ago. They also said that as of the same date Brazil’s second corn crop is 47% planted versus 42% a year ago. The Rosario Grains Exchange estimated Argentina’s 2013 corn crop at 25.5 MMT versus a previous estimate of 26.5 MMT. This compares to the February USDA estimate of 27 MMT. Argentina’s Ag Ministry said on Friday that showers in Argentina over the past few days have eased signs of drought damage. China's Jan corn imports were 397 TMT, down 47% on Jan 2012. The USDA reported 127 TMT of US corn sold to unknown: 50,800 MT for 2012-13 and 76,200 MT for 2013-14. Funds were estimated to have been net buyers of 2-3,000 corn contracts on the day. Mar 13 Corn closed at USD6.93 1/2, up 3 1/4 cents; May 13 Corn closed at USD6.85 1/2, up 1 1/4 cents. Wheat: The second major winter storm within a week blowing into the US Plain got wheat on the defensive to start the week. As of this morning, there is a heavy snow warning for the entire western third of Oklahoma with 10-17 inches expected in some areas which will bring welcome moisture relief for the state with an accrued moisture deficit of 3.6 inches in the long period back to early October, according to Martell Crop Projections. India’s MMTC are tendering to sell 75 TMT of wheat for March/April shipment. The UN bought 58 TMT of Indian origin wheat for March/April shipment for donation to East Africa. The Flour Millers Federation estimated 2013 India’s wheat exports at 5 MMT. Weekly export inspections of 21.167 million bushels were slightly below the 23.718 million reported the previous week. Egypt’s Supply Minister said that he expects the 2012/13 local wheat supply to expand by 500,000 tonnes or more. GASC has only bought about 235,000 MT of wheat on the international tender market since January 1st, which is about a third of what they bought during the same period last year. China's Jan wheat imports were 179 TMT, down 15.6% versus Jan 2012. Jordan are tendering for 100 TMT of optional origin milling wheat. Fund selling in CBOT wheat was placed at a net 3-5,000 contracts on the day. Mar 13 CBOT Wheat closed at USD6.99 1/4, down 15 3/4 cents and an 8-month low for a front month; Mar 13 KCBT Wheat closed at USD7.31 1/2, down 18 1/4 cents; Mar 13 MGEX Wheat closed at USD7.87, down 15 3/4 cents. 25/02/13 -– EU grains closed mostly lower with London wheat partially supported by the weak pound - and Paris wheat generally three to four euros lower. Sterling fell to it's lowest level against the euro since October 2011, and it's worst versus the US dollar since July 2010, following Friday's Moody's credit rating downgrade. With the minutes of the Bank of England's February MPC meeting already revealing a 6-3 split on whether to increase QE last week the pressure to resume it will now intensify. US wheat futures slid to an 8-month low on an improved weather outlook for US winter wheat, ultimately dragging European grains down with it. On the day London wheat closed with front month Mar 13 down GBP0.95/tonne at GBP202.60/tonne and new crop Nov 13 GBP0.70/tonne lower at GBP185.45/tonne. Mar 13 Paris wheat was EUR3.25/tonne easier at EUR239.75/tonne. The EU Commission's MARS unit said that "to date, no frost-kill damage has been simulated for the EU-27 in 2013," adding that "no frost kill damages are expected, as based on our simulations," on weather models through to early March. "The warm-spells recorded to date have been long and strong enough to initiate a dehardening of winter crops in northern France, western Germany, Austria, southern Hungary and Balkan Peninsula just as in significant areas around the Black Sea," they noted. Next month they will give their first indications on yield potential in Europe for the 2013 harvest. US weather continues to improve chances for winter wheat areas there with another massive snow storm making its way across Oklahoma, Kansas, and southern Nebraska this morning. "The new winter snow storm, the second in a week, is expected to bring an additional 0.25 to 1 inch of moisture from snow melt in Kansas, Oklahoma and West Texas," said Martell Crop Projections. "Drought is rapidly resolving from back-to-back snow storms. Moisture deficits had accrued to 2 inches in Kansas and 3.6 inches in Oklahoma, the top 2 US winter wheat states in the long period back to early October. Very heavy precipitation last week cut the Kansas moisture deficit in half. Additional heavy moisture in the new snow storm would may create a soil moisture surplus. Oklahoma October-February drought was more severe, though cumulative moisture from the 2 storms may shrink the deficit to within 1-1.25 inch," they added. In Argentina "Weekend rainfall was near expectations. Scattered showers occurred in southern and central Cordoba, Entre Rios, central and southern Santa Fe, Buenos Aires, and far eastern La Pampa. Amounts were 0.25 to 1.0” locally up to 1.75” with 70% coverage," say MDA CropCast. The weekly Commitments of Traders Futures and Options report released Friday night continues to show fund money dumping corn longs and building on their existing large short in wheat. That offers the potential for a sudden rebound in Chicago wheat values from the 8-month lows to which they have slumped today - if something bullish comes along to spook them into short-covering. For US wheat though the seasonal chart suggests that it's often May/June before the lows of the year are set. Ukraine said that they'd exported just 133,500 MT of wheat in the first three weeks of the month versus over 1 MMT of corn as wheat shipments grind to a halt. Total 2012/13 exports currently stand at 17.32 MMT, up 38% on last season, of which 6.3 MMT is wheat, 8.9 MMT corn and nearly 2.0 MMT barley. You sell one and buy a bull..
You forge a few documents - you now have two cows! 25/02/13 -- Rapemeal prices on the continent are easier, in line with sharp losses in Chicago soymeal values on Friday night, although some of these losses have been tempered in the overnight market which sees soymeal levels around USD3 firmer.